« Thwart robbers with an old smoke alarm. Lawyers for the student did not return phone calls and e-mails for comment. The Associated Press reported late Friday the FBI was probing the allegations. The lawsuit seeks class-action status to represent all the district’s 2,300 high school students. 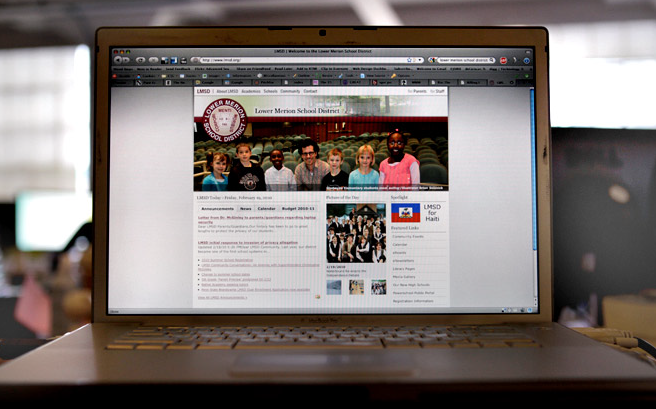 “Unbeknownst to plaintiffs and members of the class, and without their authorization, defendants have been spying on the activities of plaintiffs and class members by defendants’ indiscriminate use of and ability to remotely activate the webcams incorporated into each laptop issued to students by the school district,” according to the complaint. When the district began issuing laptops to all its students two years ago, it never informed them of the tracking feature, said Young, the district spokesman. He conceded that district officials went too far. The program was not intended to bring to light the private behaviors of adolescent boys, he conceded. “It did not seek specifically to do that,” Young said. This entry was posted on Tuesday, March 9th, 2010 at 7:25 am and is filed under Gadgets, Humanities & Issues, Reviews, Security, Surveillance, Telematics, Telemetry. You can follow any responses to this entry through the RSS 2.0 feed. You can leave a response, or trackback from your own site. Hello, A very good post, I must say this is really what we are here for, this forum definitely needs bloggers like you. Filling the forum with some good tips and information, I did follow A couple of your posts, they been relevant and good points were elaborated. I must say we should always be ready to post in our best knowledge to support people. Really appreciate your post.